Lost your original TV stand when you bought that snazzy wall mount? the table top TV stand is the ideal TV stand solution for your flat panel TV. With height adjustability and durable sleek design this stand will more than satisfy your need for a functional tabletop TV stand. The table top TV stand can be used for desktops or for a firm stand on a dresser in your bedrooms. It is easy to attach and much more stable than the stands that come with flat screen TVs. Fits TVs with 75mm x 75mm to 800mm x 500mm hole patterns. 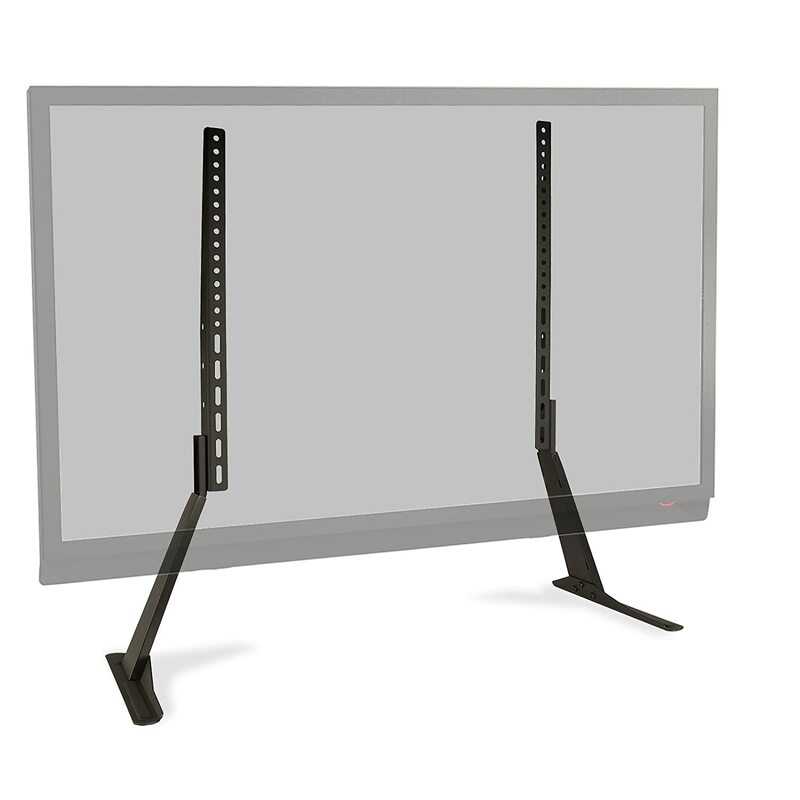 The stand holds up to a 70 inch TV and up to 132 lbs.